(VEN) - The eighth European-Vietnamese Documentary Film Festival took place in Hanoi and Ho Chi Minh City from June 9 to 18, 2017. The festival presented 31 documentary films, 10 of them from France, Belgium, Germany, Spain, Sweden, Austria, Denmark, England and Israel, and 21 from Vietnam. Some of the foreign documentaries have won either Oscars, the César Award for Best Documentary Film, or other awards at the Berlin International Film Festival. The Vietnamese documentaries were produced by the Vietnam National Documentary and Scientific Film Studio, television stations and independent filmmakers. 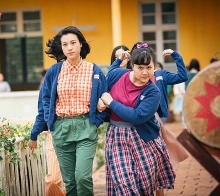 Viet Nam thoi bao cap (Vietnam under the subsidy economy) and Hai dua tre (Two children) garnered the most audience support. Viet Nam thoi bao cap is a two-part film by director Tran Tuan Hiep. The first part describes how Vietnamese people lived under the subsidy economy with ration tickets and rice books. The war was the main reason behind the subsidy mechanism in the 1945-1975 period. The second part reflects life in post-war times and explains why Vietnam maintained the subsidy mechanism despite the war’s end. This encouraged some Vietnamese to enterprisingly propose changes that they believed would result in better lives. Hai dua tre tells a story about two children who were handed over to wrong mothers at a general hospital in Binh Phuoc Province’s Binh Long Commune four years ago. This case attracted great public attention. The eighth European-Vietnamese Documentary Film Festival in Hanoi was a special cultural event, providing audiences with an opportunity to take a deep look into various societies and their relationships with the environment, and to discover new lands, as well as new topics. Documentaries screened at the festival enabled the audience to learn about Vietnam’s culture and society, as well as those of other countries. 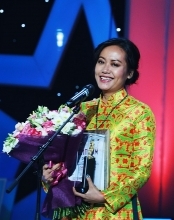 The festival presented one Vietnamese film and one foreign film each evening. Documentaries produced by independent filmmakers were screened on some afternoons. The eighth European-Vietnamese Documentary Film Festival was organized by the European Union National Institutes for Culture (EUNIC), in association with the Vietnam National Documentary and Scientific Film Studio. France holds the chairmanship of EUNIC Vietnam, with the Brussels-Wallonie Delegation to Vietnam being its coordinator. The Hoa Sen University participated in organizing the festival in Ho Chi Minh City. 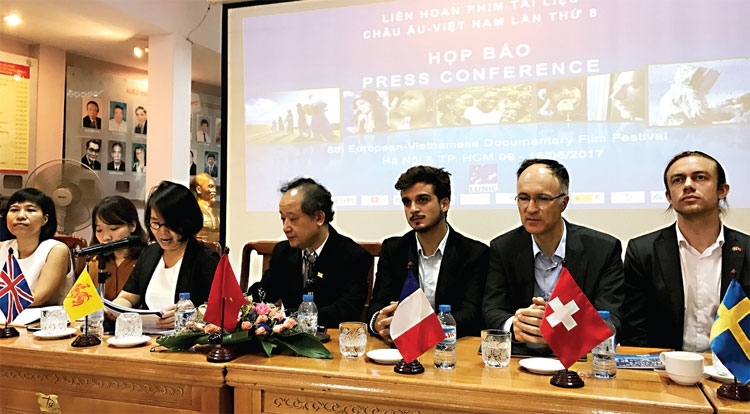 The European - Vietnamese Documentary Film Festival has been firmly positioned in Vietnam’s cultural life, meeting its demand for cultural exchanges with other countries. The festival offers an annual meeting place for documentary lovers in Vietnam.